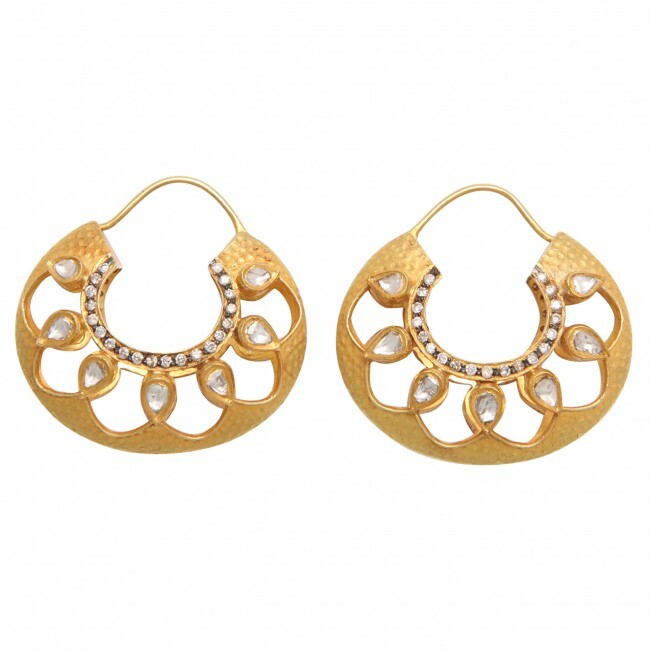 A pair of 18kt yellow gold and diamond earrings. The radiating sun beams are made of bezel set polki diamonds and the border of the sun is composed of channel set diamonds. The total diamond weight is 2.35cts.